Cite page (MLA): Wisnicki, Adrian S., and Megan Ward. "Note on Encoding the Final Manuscripts." In Livingstone's Final Manuscripts (1865-1873). Megan Ward and Adrian S. Wisnicki, dirs. Livingstone Online. Adrian S. Wisnicki and Megan Ward, dirs. University of Maryland Libraries, 2018. Web. http://livingstoneonline.org/uuid/node/46c87941-4a96-4b56-89dd-ba49cd3ccb72. This page outlines some of the key editorial challenges posed by Livingstone’s final manuscripts. The page also discusses the coding strategies of the project team and the role of the edition’s users in working with the manuscripts in this edition. The critical editing and encoding of Livingstone’s final manuscripts lasted over four years. Throughout, our project team aspired to high degrees of accuracy, rigor, and consistency, as we sought to document Livingstone's words and the key material characteristics of his manuscripts. Due to the extent of the material (ultimately, over 2,000 pages), the project drew on the efforts of over a dozen team members and relied on several stages of encoding work plus a detailed set of coding guidelines. The encoding work itself took multiple forms, from initial manuscript transcription, to comparison of transcriptions and manuscript images, to coding review, to review and standardization of extracted word lists. In undertaking this effort, our project team faced significant challenges in terms of the source materials. 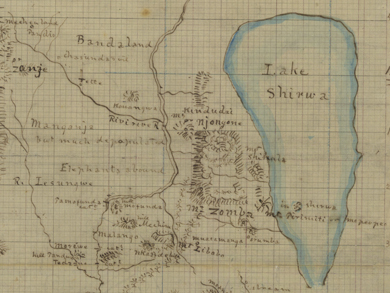 Livingstone composed his manuscripts over a seven-year stretch while traveling through vast swaths of east and central Africa. He wrote the materials in varying states of mind, including while in poor health and, finally, near death. The manuscripts were subject to the vicissitudes of multiple environments, which impacted legibility or otherwise altered the material state of the pages. Image of two pages of David Livingstone, Notebook, March 1866-March 1870: -. Copyright David Livingstone Centre, University of Glasgow Photographic Unit, and Dr. Neil Imray Livingstone Wilson (as relevant). Creative Commons Attribution-NonCommercial 3.0 Unported. These pages come from one of the few final manuscript items for which our edition includes images, but not encoded transcriptions. The pages offer a stark representation of some of the challenges involved in working with the final manuscripts. Livingstone has written horizontally and vertically across the pages; he has also mixed prose with calculations. His decision to use the same type of ink throughout renders spectral imaging – a technology that has proved helpful in similar cases – ineffective in this instance. The content of the manuscripts is itself also of a complex character. Livingstone’s manuscripts document information collected from conversations with hundreds of African, Arab, and Indian individuals of diverse cultural backgrounds. Livingstone and his interlocutors took up the subject of, collectively, thousands of individuals, villages, rivers and streams, and other entities whose pronunciations (and even names) varied by location and ethnic group. The conversations, in most cases, passed through multiple layers of translation and transliteration. Livingstone’s manuscripts, in unvarnished fashion, reflect these variable realities. The features cited above make the manuscripts an incredibly rich historical and cultural resource, but they also pose daunting tasks from an editorial point of view. There are also more basic textual issues. Livingstone himself was not always clear about his references or consistent in the words he noted down. For instance, he spells the same words in different ways. He also fails to realize that different words refer to the same entity or individual. He leaves unclear whether particular words connote an individual, village, or other geographical feature, a point that is often not obvious from context. The scale of these numbers speaks to the difficulties involved. The scale also means that some amount of ambiguity and error must remain, however diligent our editorial team. Conservatively, we estimate our tagging error rate to be about 10%. Users are advised to keep these points in mind when working with the digital renderings of the manuscripts. We have done our best to produce encoded transcriptions that are faithful to the originals in all their textual and material complexities. We have noted the limits of our work, including dubious readings and other instances of problematic coding, wherever possible. However, our users should still consider themselves as providing an additional layer of review, and in all cases should consider their own discretion and judgment as the final stage of our editorial process. Burton, Richard. 1859. “The Lake Regions of Central Equatorial Africa, with Notices of the Lunar Mountains and the Sources of the White Nile; Being the Results of an Expedition Undertaken under the Patronage of Her Majesty’s Government and the Royal Geographical Society of London, in the Years 1857-1859.” Journal of the Royal Geographical Society 29: 1-454.